elementfortynine are a mobile consultancy focusing on apps, specialising in cross platform mobile development and maximising code reuse, whilst ensuring the user experience is top priority. We do this by choosing the right tools for the job, avoiding cross platform solutions that degrade the user experience. Founded by engineers with over 20 years experience, with the majority of them in native mobile development. Writing reliable, robust, enterprise level code for iOS, Android and Windows Phone is what we do best. 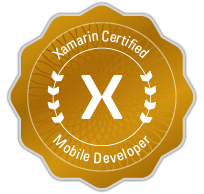 Having worked on various projects using Xamarin we are now an official Xamarin Authorised Consulting Partner. The founders of elementfortynine were instrumental in Tesco choosing Xamarin as their cross platform mobile development solution for building native apps for iOS and Android. Having been initially tasked by Tesco to assess the different cross platform solutions available at the time, it soon became clear Xamarin would provide the best platform for Tesco’s needs. Tesco then went on to become one of Xamarin’s biggest customers. They then helped Tesco skill up their in house development teams both in the uk and bangalore as well as architecting their main customer focused apps Grocery (and at the time Clubcard), maximising code reuse across apps and platforms. 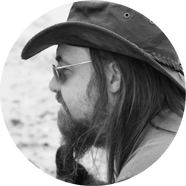 "When we were looking to work with an app development team, we had some very specific requirements. We knew that we wanted to use Xamarin and we needed a team with experience of building great apps that can scale. The elementfortynine team came recommended from Xamarin themselves and had a track record of building enterprise level mobile applications." 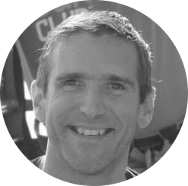 "Gareth and Neil were great to work with, from initial discussions to delivery of the final product. Their experience in mobile development allowed us to move fast and accurately, with the knowledge that we were working with two of the most experienced Xamarin developers in London." "When we approached elementfortynine we only had a very broad idea of the type of app we needed, this didn’t phase elementfortynine who helped us hone the requirements, recommended a technology perfect for our needs and built amazing apps in an incredibly short space of time." Over 25 years professional development experience, with the last 15 in native mobile development, from the emergence of the first programmable mobile platforms Symbian (S60/UIQ), WindowsCE and Brew, right up to the latest platforms iOS, Android and Windows Phone . Originally predominantly developing in C/C++, then on to ObjC and C#. Over 25 years experience in full-stack software development on a variety of platforms covering desktop, web, mobile, Client/Server, Multi-tier and Enterprise as well as architecting solutions from initial requirements. Currently leveraging my 10+ years of C# .NET skills using Xamarin to write cross platform mobile phone & tablet apps on iOS, Android and Windows Phone. elementfortynine totally understood the culture of our organisation and rapidly built the relationships needed to build the best solution possible.